Hope you all are having a fantastic start to your week, all is well here in NYC and I'm excited to share an exciting collaboration with you in today's post! Ever heard of lovely lady by the name of Karlie Kloss? Of course you have! She's the drop dead gorgeous super model currently taking the world by storm. Not only is she gorgeous, spunky, and genuine, she's takes her fame and uses it for good. Almost like a superhero, shall we just call her Katwomen and call it a day? She collaborated with momofuku Milk Bar to create Karlie's Kookies where a portion of the proceeds are donated to provide nutritious meals for school children in need. Well folks, she's done it again and this collaboration with Warby Parker is definitely something you don't want to miss out on! 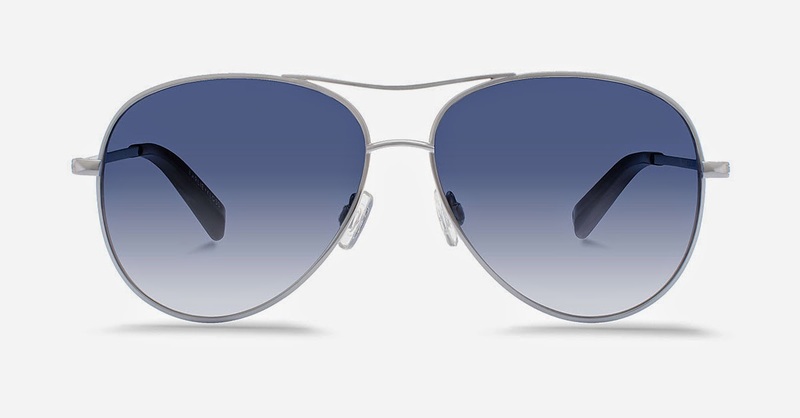 Warby Parker offers beautifully designed, quality prescription eyewear at an affordable price. Let me tell you that I wish I had discovered them before purchasing my last pair of prescription glasses because affordable was no where near what I paid (sigh). They even have an at home try-on program where they'll send you any 5 pair of frames for you to check out (for me that means dancing around the house until the I get just the right booty shakin' to know that i've found 'the one') and see which ones you like best. For every pair of glasses sold they donate a pair to those in need. I know, I know enough of the booty shakin', now let me share more about the collaboration with Karlie Kloss launching today! 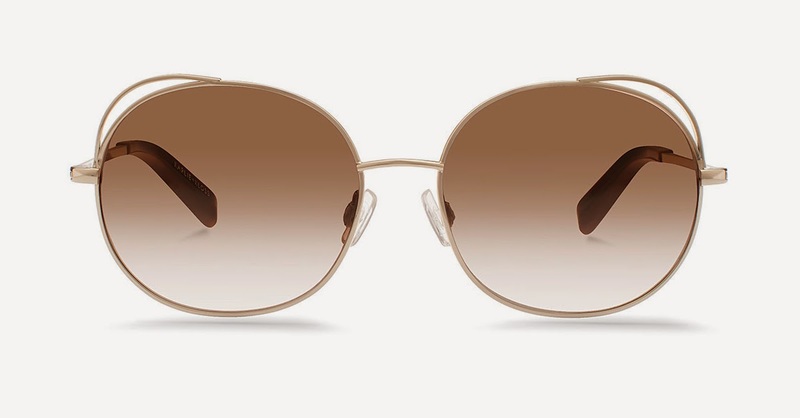 The collection has three styles: Clara, Marple, and Julia each with two different lens color choices. The collection is beautiful, each style is unique with slightly different shaped , yet still unified. I really love the various lense color choices and the fact that they are made of lightweight titanium material, some heavier glasses can give me a headache. The best part of this collaboration is that a portion of each pair purchased will be donated to Edible Schoolyard NYC, but specifically to two community farm stands in Brooklyn and East Harlem, where kids learn about food preparation in their own neighborhoods. This is in addition to Warby Parker distributing a pair of glasses for someone in need for every pair sold. Amazing! Each pair of glasses are $145 each and are available starting today online and in stores. In my opinion, this is the perfect 'Treat Yo Self' AND those in need moment to splurge and get yourself a fabulous new pair of shades. 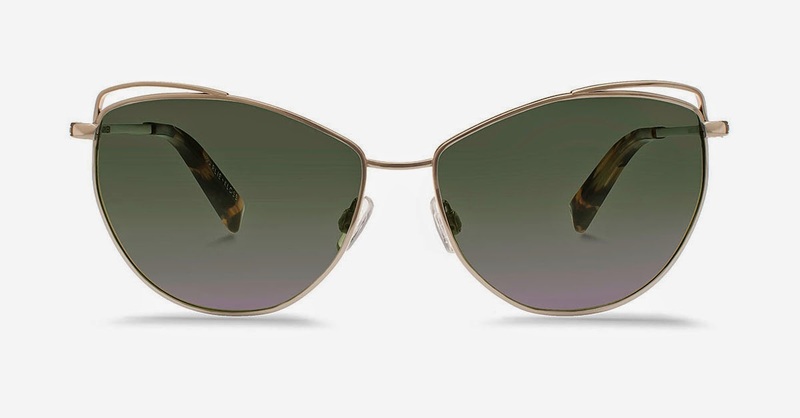 My favorites are the Clara with copper fade lenses, they remind of a favorite pair I used to have (and sat on) and could never find a similar style. Although i'll have a hard time deciding between those and the Julia Indigo wash lenses, the blue is beautiful! Which ones should I get? What do you think of the collection? Which pair is your favorite? I love Karlie Kloss, she's one of the main reasons I got my hair cut short ha shame I didn't get her looks along with it. My favourites are the Clara ones too.